Most of you probably know someone who is gluten-free. Or, perhaps you are gluten-free yourself. Since magazines can play a big part in providing inspiration for the home cook, we thought it would be helpful to review several magazines that focus on gluten-free. 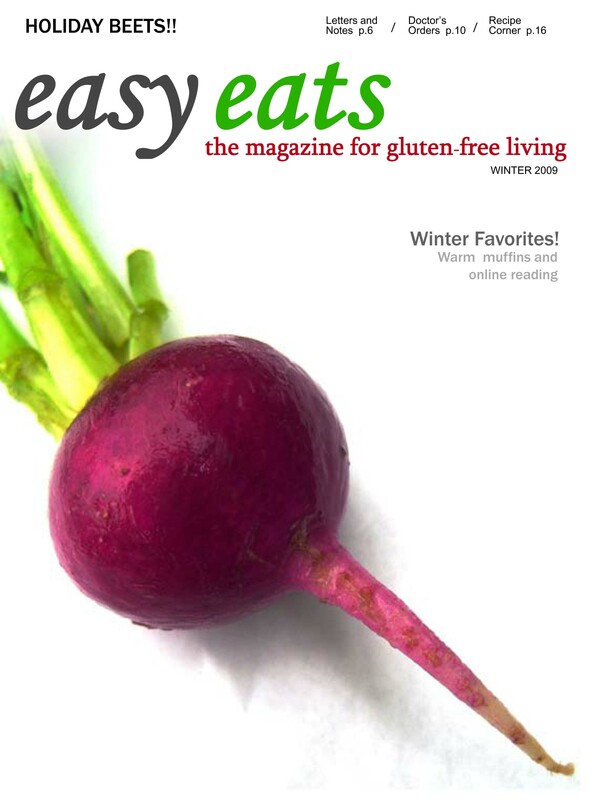 My favorite publication focusing on gluten free is Easy Eats: The Magazine for Gluten-Free Living. Easy Eats comes in pdf format at present, and is sent free of charge to your email address! The current issue (Winter 2009) is 18 pages long and contains such features as: Editor's Letter, Mail Bag, New Products (such as gluten-free foods or cookbooks), News, Notes and Names (gluten-free blogs are the focus of this issue), and Recipe Corner. I found this publication well-designed, easy to read, and very appealing with plenty of useable information and a handful of good recipes included. And the fact that it is free gives you no excuse why not to sign up to receive it. For more information, visit the Easy Eats website. Next up is Gluten-Free Living. This is a regular format magazine that comes out four times a year and seems to run about 50 pages. 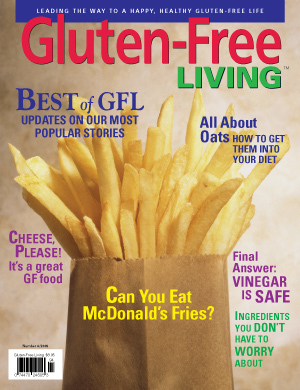 I reviewed the summer issue of this magazine and it included articles such as: Top 10 Nagging Ingredient Questions, Malt Extract in GF Food?, Are Everyday Foods Friends or Foes?, Summer GF Food Choices, GF Ice cream, and How to Brew GF Beer. The magazine focuses more on living the gluten-free lifestyle rather than being an exclusive "recipe magazine" for gluten-free cooking. I did find all the articles helpful and informative. Finally, there is a gluten-free magazine by the title of Delight which I have not been able to get a copy of to review but mention it here for those that may be interested in tracking down an issue. 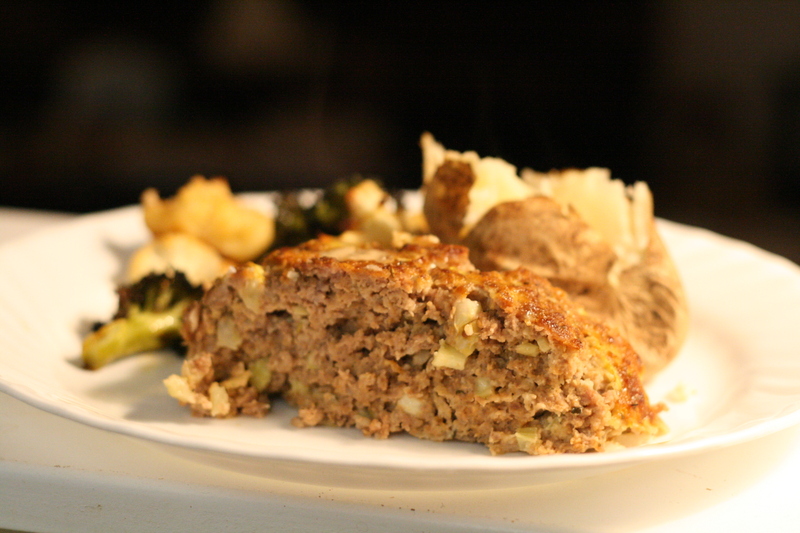 And now for a gluten-free recipe, courtesy of Easy Eats, we have a savory mushroom meatloaf. My family devoured this meal and I am already planning to make it in the near future for some of our gluten-free friends. Preheat oven to 350F. In a large bowl, combine all the ingredients and mix well. Form meat into a loaf inside of a 9x13-inch roasting pan. Bake uncovered for 75 minutes or until done. Let stand 10 minutes before serving. Thanks so much for including us in your magazine review. While you're right that we do focus on lifestyle, as well as doing original research into topics of cocern on the gluten-free diet, we do have recipes each issue by Jacqueline Mallorca. Jackie is a well-known gluten-free cookbook author - her latest book is Gluten-Free Italian. She also works with Williams Sonoma, writing for their sumptuous catalog. In 2010, we are expanding Jackie's section of Gluten-Free Living. 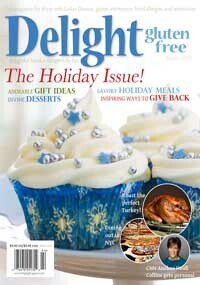 In our next issue, she has recipes for what she calls Frugal Fare. Unlike other magazines, we do not devote whole pages to photos of foods made with our recipes. We simply do not have enough space in the magazine to do that and get in all the other important information we include. In addition to our recipes, I think gluten-free cooks will find the factual stories we run important to both their cooking and their lifestyle. For example, before we did the groundbreaking work on vinegar, gf recipes always called for apple cider vinegar. Based on our research, vinegar is known to be gluten free, regardless of the type. That kind of information works it's way into recipes. The same thing is true of vanilla. I think if gluten-free cooks take a look at Gluten-Free Living, they will find it a valuable resource. Our website is www.glutenfreeliving.com. And we are available in many bookstores. Again, thanks for mentioning us to your readers.